Some of my fondest memories of growing up in Southern California took place more than 2000 miles away in Roseau, Minnesota. Located just 10 miles south of the Canadian Border in the Northwestern part of one of the coldest states in the country. It is known as the birthplace of Polaris Industries, manufacturers of snowmobiles and ATVs, and recognized for its hockey, having won the state high school championship 7 times and developing at least ten players who competed in the National Hockey League, including two of my cousins. Pretty impressive for a community of just over 2000 residents. But more importantly to me and my siblings, it was our Mother’s home town, the place she went to school, worked at the local JC Penney’s, and graduated as valedictorian during World War II. The place where we had 16 cousins all in the same neighborhood. Mom and her brother Bill moved away after college and relocated to California and Montana respectively, but the other 4 siblings chose to stay and make their lives in Roseau. But with so many family members and friends the draw was strong for both Mom and brother Bill to make the pilgrimage to the place of their youth. Both of my parents worked full time and had limited vacation time. But with air travel being an expensive proposition for a family of six, driving the 4000 mile round trip in our station wagon every couple of summers was a challenge they were willing to accept. 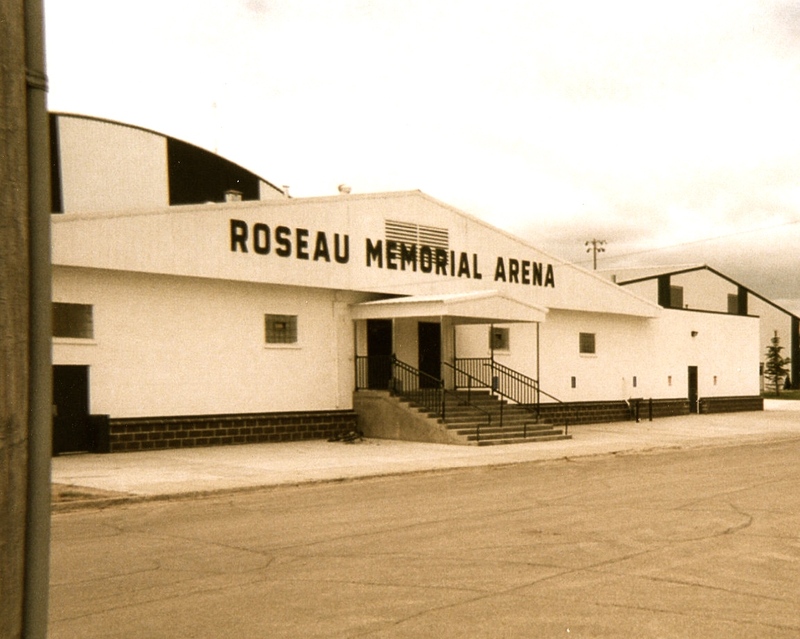 I don’t recall any of my siblings complaining either as there was just something about Roseau. To us it was like a whole other world. You could walk anywhere you wanted to go in town any time of day or night and feel safe. One aunt and uncle owned the local movie theater and another the drugstore. Seemed like everyone had a cabin at Lake of the Woods and was more than happy to take us neophytes out fishing (or most often untangling our lines) or for a boat ride. There was a swimming hole in an old sand pit and later an actual pool where we often gathered to while away an afternoon. I remember one time in particular that we loaded 16 cousins into my dad’s station wagon for the short drive to the sand pit. I wouldn’t recommend it nowadays, but it is still an awesome memory more than 50 years later. We always bunked with family, though I don’t think we all stayed under the same roof on any of these excursions. For us kids, we pretty much ended up staying with cousins near our age, sleeping on the floor, a rollaway or even a couch. I was closest to my cousin Carol so I usually stayed with Aunt Eldyne and Uncle Binky. Meals could be anywhere and with any combination of family or friends. Our favorite meals were fish frys out at the lake (or in town) with freshly caught Walleye, but “hot dishes” were often the easiest way to feed a crowd. If you go hungry in Roseau it’s nobody’s fault but your own. Just about any house you visit you will be welcomed with the offer of food and drink. There is always a coffee pot on and usually a freshly made pastry, cake or cookies. And there was, and still is, Earl’s drive-in for a soft serve ice cream or shake. I still feel the tug of Roseau. And apparently so do many of my cousins. Many of them chose to stay or return to Roseau to raise families of their own. New generations of second and third cousins continue to live in the hometown of their parents and grandparents. The rest of us try to visit as often as possible. Everyone should have a Roseau. A place where you always feel welcome,a place that grounds you, a place of memories, and a place to call home. This entry was tagged Cousins, Family Vacations, Fish Frys, Hockey, Minnesota, Roseau, Siblings. Bookmark the permalink.